If you read these posts from me on a daily basis, you know that I often mock the “funnel” crowd. These are the people who try and sell you on the idea that they have some magic voodoo knowledge about “funnels” that will plaster over the fact that someone doesn’t have a real business and give them their very own ATM on the interwebz. That’s nonsense… But having a good process for turning cold visitors into warm leads and converting those people into customers and raving fans is super important to your long-term success in your online business. This week, Funnel Hacking Live has been running in the US and it’s pretty much the pre-eminent live conference on funnel building and conversion. I tend not to enjoy going to these kinds of huge events for a whole bunch of reasons, but primarily, it’s about time – the idea of giving up a week or more of my time to travel and attend just irritates me. But I enjoy finding out what went on. My mate, Tim Castleman goes to these events and he is authorized to take and sell notes. Tim has been doing this for years and I have purchased the notes from EVERY single event he and his team have done over the years. You can grab the notes from the event by going clicking here (not an affiliate link, I’m not selling, just recommending something of value) if you’re interested. So, doesn’t it seem a bit incongruent that I mock people banging on about funnel building and yet, I say that having good funnels in your business is critical and am recommending you get the notes from a live even about building funnels? Most people who are out there pitching you on the idea that they can help you build your funnel are charlatans. Why mix words, right? The vast majority of them are frauds. Last year they were talking to you about some other nonsense scheme, then six months ago they started telling you how they were killing it with Bitcoin and now that the arse has fallen out of that, they’re back to talking about funnels. These people aren’t building funnels, they are circling the drain. Most of what they talk about is rubbish – low priced offer, upsell, downsell, downsell, upsell, time-sensitive scarcity recurring offer, trial offer downsell, blah blah blah. It’s like making your customer pass through some kind of gauntlet of stupid to get what you sold them originally. These assclowns see “a funnel” as ringing every last penny out of the wallet with feet that you and I affectionately refer to as a customer. This view of the world is driven by a scarcity mindset – if the prospect is in a “buying mood” then you need to absolutely maximize your opportunity because it may never come again. They talk about things like “lifetime value of a customer” and “building relationships” but really, when you boil it down the one metric they are most interested in is “EPC” or “earnings per click” – everything else is just for show. That approach is terribly short-sighted. 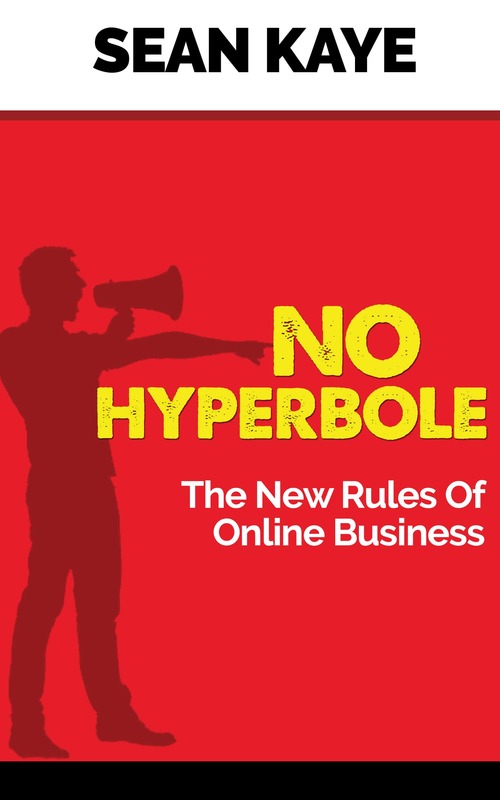 If someone hasn’t done business with you before and you absolutely bombard them with “gimme your interwebz monies” they’re going to become sceptical of you – I know I would. The better approach is to deliver what you’ve offered if there’s a legitimate additional thing you can offer them, do so, but don’t hammer the hell out of them with more offers. Give them a chance to consume what they’ve purchased. And that, strangely enough, needs to become part of your funnel – getting people to consume what they’ve purchased so they anchor your products with something of value. That makes them more likely to buy from you again in the future and probably be willing to spend more with you because you have established a history of delivering good value. That’s the difference between how I see a “funnel” and how the drain circlers see it – for me, your funnel is the process under which you progress your relationship over time with your audience to point them in the direction of things that will add increasing value to them. 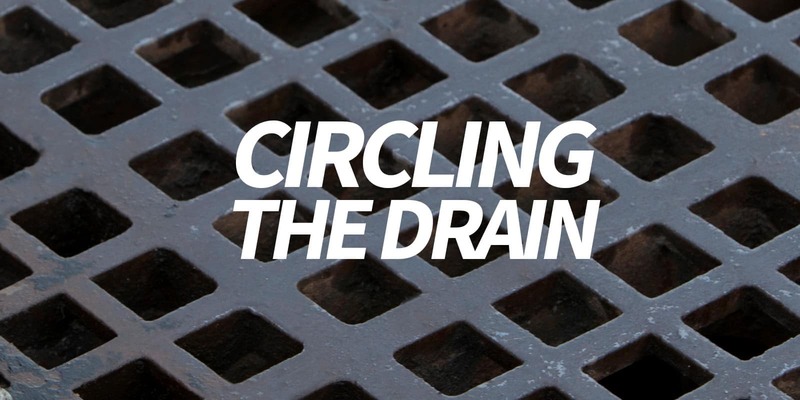 For the drain circlers, they see a funnel as a conglomeration of technology that uses high pressure sales tactics to maximize the extraction of dollars from wallets in as short a window of opportunity as possible. The drain circlers teach opportunism. My view is about mutually beneficial opportunities to progress relationships. I think my point of view is better. Well put, and right on, Sean! I purchased a $10.00 product today that had 6(!) upsells…ugh! Just to get to the one thing I was interested in. I agree wholeheartedly that if the marketer was sincere in building a relationship with me, they’d first let me read the PDF I’d purchased, and then approach me later with more product. Thanks Tom! I’ve heard some marketers refer to customers who buy the front end product as “paid leads”. That’s disgusting – give the person what they’ve asked for, let them consume, then try and deepen the relationship. Delivery often takes a back seat to the next sale which is wrong. Well said Sean. Definitely gave me something to think about. Create good products first.